Businesses invest in software with high hopes to improve processes, maximize productivity and improve revenue, but all too often they are left feeling like they’re not getting the most out of the software. For example, a company may invest in a CPQ tool to optimize their pricing and eliminate clunky spreadsheets, but months after the purchase, they end up still using the same old Excel files when providing quotes for customers. Maddened as they are, it’s not unsurprising when the users take it out on the software tool, claiming the vendor overpromised and the product underperformed. While that is sometimes the case, more often than not the issues lie in imperfect implementation. There’s a historical precedent which exhibits why. As the 19th century became the 20th, factories across the world began switching from steam power to electricity. The benefits of electricity cited by engineers and the seemingly inevitable economic boon that would result had everyone from business owners to factory workers excited. Factories would no longer need to be constructed with a steam engine at the center in the interest of reducing power loss. Since electricity was modular and flexible, entire factories wouldn’t need to be shut down for maintenance or changes in one department, as was the case when factories operated by steam. Soon, factories would be built with workflow in mind, upping efficiency across the board. Despite this profound technological advancement, it took roughly 40 years from those early breakthroughs (like the carbon filament incandescent lamp of 1879 or the Edison central generating system of 1881) before electricity had an impact on production growth. Rather than retrofitting their factories to optimize electricity use, factory owners would often implement electricity without applying any of the infrastructure changes that would allow electricity to enhance production. In short, they invested in electricity, but failed to take the steps that would prove its benefits. How Are Modern Businesses Affected? This same obstacle is one business owners are still struggling to overcome today. Well, they’re not struggling to transition to electricity, but the same principle applies to purchasing software. Businesses typically purchase a software product after becoming enamored with its features. Perhaps that CPQ tool offers machine learning capabilities that enable it to generate the best prices. Or maybe it understands workflows so that managers can spend less time approving quotes. These types of features obviously sound great, but they’re only useful if your business correctly implements the software. Effective implementation leads to high user adoption among employees—the most important achievement with a new software tool. The only way to guarantee a return on your investment is to have your team actually use the software you invested in. 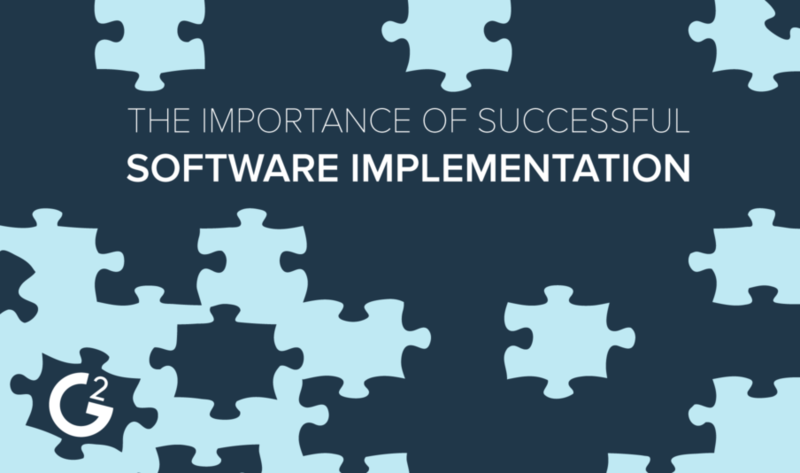 Implementation services are a great way to ensure your new software tool gets up and running quickly and effectively. By utilizing this type of service, you are getting help from a team of professionals who can implement your tool specifically for your business and, ideally, maximize productivity. So, when purchasing your next piece of software to help grow your business, make sure you keep the productivity paradox in mind. Cool-sounding features are great, but features don’t solve business problems. If your workforce doesn’t adopt the new software product, you’re spending a bunch of money to house a shiny toy in the back of your office while you continue to use the same old tools. To learn more about business software implementation services, visit the new G2 Crowd services page.